Conferencing & Marketing Brochure & Menu Pack Pitch. 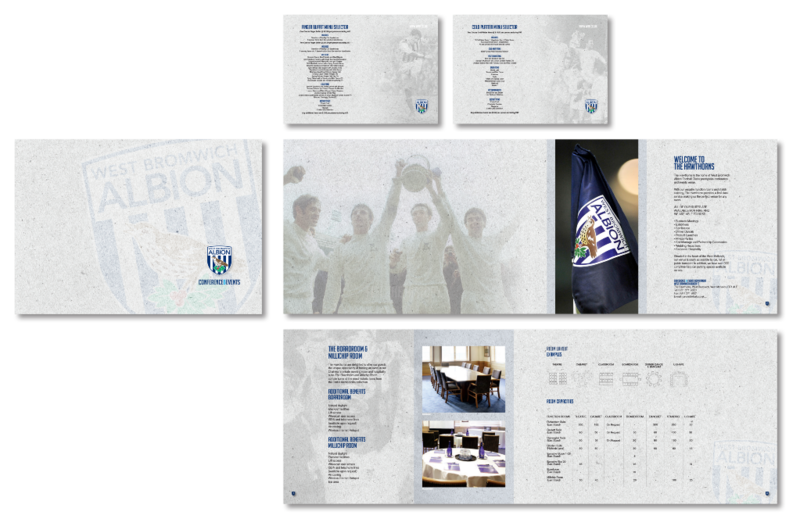 The brief was to create a brand and marketing pack that separated the Conferencing facility from the main Football Club. The idea was to take the department down a different route from the main club branding but incorporate a historical aspect to the literature.